The show will give children an amazing spectrum of dishes to try their hands at. Keeping in sync with the informal atmosphere of the show, Emanuel will be intermittently accompanied by his friends and family to create some wonderful dishes for the audience. ‘Eat Manual’ is a singular concept that not only encourages children to cook, but is in fact, hosted by a kid. 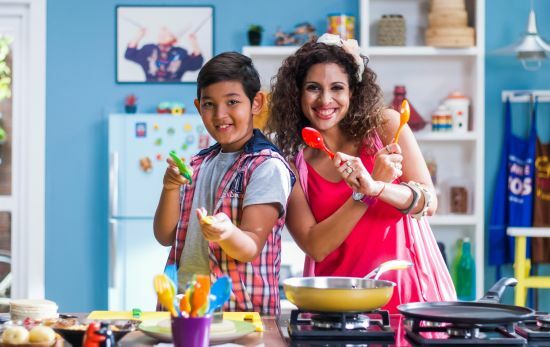 Zee Khana Khazana, with Emanuel Chauhan, is set to bring a splendid variety of preparations, inspired by the kid chef’s penchant for both Indian and global cuisines, for the audiences.